BEIRUT – The Syrian army said on Monday it had captured several villages in the southern province of Deraa, cutting a supply route used by insurgents to smuggle weapons and fighters from Jordan to Damascus’s Eastern Ghouta region. 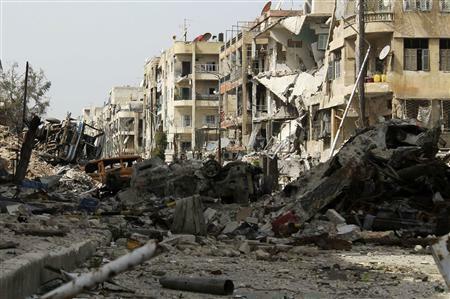 A Syrian security source said Monday’s operation was part of a wider plan to secure the province of Deraa. “The importance of this achievement is that it reopens the road between Deraa and Sweida,” the army said in a statement publish on Syria’s state news agency. Sweida is home to the minority Druze population who have mostly stayed out of the Sunni-led revolt against Syrian President Bashar al-Assad. The army said it had also surrounded the town of Busra al-Harir, 37 km (23 miles) northeast of Deraa. It was the first major government operation in the southern province of Deraa since the insurgents seized a border crossing with Jordan earlier this month. The Syrian Observatory for Human Rights, which monitors the Syrian war, said the insurgents backed by Islamist groups such as al-Nusra Front had repelled the government attack aimed at seizing Busra al-Harir.